From a very early age, U.S. Air Force Major (Ret.) Elizabeth Stevens had a burning desire to be a medical professional. She wanted to help soldiers and veterans get their minds and lives back together if the traumas of war knocked them off track. Now, as a board-certified psychiatrist, she has an advantage as a treatment provider: the personal experience of a debilitating traumatic brain injury (TBI) that nearly robbed her of her life-long career passion. Serving as her role models, Stevens’ grandfather Paul Sherron fought for the U.S. Army in World War II and her uncle Fred Walker also served in the Army as a helicopter pilot in Vietnam. Their courage inspired her to enter the military after receiving her undergraduate degree from Washington University in St. Louis. Stevens enlisted in the USAF in 2007. She went on to complete officer training school, aerospace medicine training and medical school at Kansas City University of Medicine and Biosciences. Medical school rotations at the 59th Medical Wing’s Wilford Hall Ambulatory Surgical Center in 2009 and the Walter Reed National Military Medical Center in 2010-11 helped narrow her career focus. “I decided to go into Psychiatry because, as a physician, I wanted to treat the whole person, and not just put a Band-Aid on the issues,” explains Dr. Stevens, a former college basketball player and outdoor enthusiast, who enjoys hiking, rock climbing, mountain climbing and even tornado chasing. Her career was taking off as she started her general psychiatry combined residency in 2011 at the San Antonio Military Medical Center (SAMMC) and the University of Texas Health Science Center at San Antonio (UTHSCSA). She received their Resident of the Year award for her second-year work in 2013 and was later offered a scholarship for a fellowship in child and adolescent psychiatry. 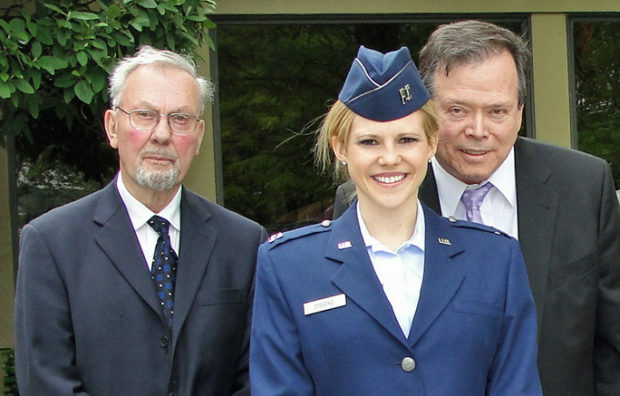 She transferred to Buckley Air Force Base in Denver where she started the fellowship via the University of Colorado – Denver. Then in 2015, one year after starting her Colorado fellowship, Stevens suffered a traumatic brain injury during a non-military hiking accident in Rocky Mountain National Park. The TBI knocked her career trajectory immediately off course to the point where all her training, experiences and future aspirations in the field of psychiatry could have been rendered useless. 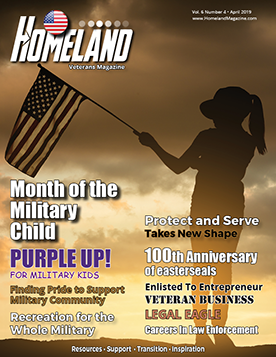 “I was medically retired from the military after having sustained a TBI and the complications associated with daily migraines, insomnia, and the inability to read without getting a migraine due to vestibular migraines and my eyes not tracking correctly,” reports Dr. Stevens, whose 10-year military career officially ended in 2017. Fortunately, thanks to the recommendation of a friend she met at a TBI treatment center, her road to recovery took a positive turn in early 2018 when she was accepted into the Health and Wellness Program of Texas-based national military non-profit Boot Campaign. The program specializes in working with veterans struggling with TBI and post-traumatic stress disorder (PTSD) and partners with top-tier treatment and training providers across the country. Her first step in that direction was a six-day trip to Dallas, Texas, to see neurologists for specialized brain evaluation through UT Dallas and UT Southwestern. The next phase of her Boot Campaign treatment program continued with a 30-day stay in Virginia Beach, Va., where specialists at Virginia High Performance customized a program for her to address her strength training, nutrition, relaxation and sleep techniques. She returned to Dallas for 16 days of further work with neurologists who she says discovered, on top of her regular migraines, she was having vestibular migraines that can include a number of debilitating vertigo-causing symptoms affecting the ears, vision and balance. Doctors set her up with a highly effective non-drug, non-invasive migraine treatment device called a “Cefaly” to help prevent and abort the frequent migraine attacks. psychiatrist has launched her own part-time practice, Eden Psychiatry, in the Denver area, and is excited for the opportunity to share her brand of mental health and wellness care with more of the military community moving forward. “I no longer blame myself or God, and I can see the entire situation as a means for growth, empowerment, and equipping me to help others through their struggles and trauma,” says Dr. Stevens. “The Boot Campaign program was a vessel to help me find my way back to the life I was meant to lead.